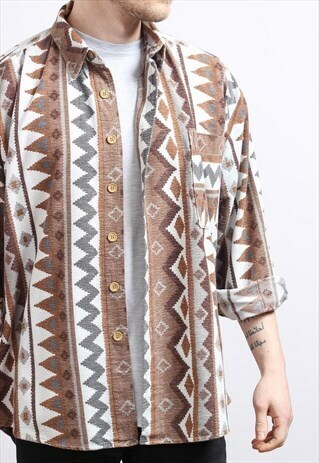 Excellent vintage condition Aztec shirt. - Large / Pit to pit 24"/ Back of neck to bottom 30" / Model height is 5ft 8". All our items are measured laying flat. Orders placed before 4pm will be sent out the same day, and will usually arrive the next working day. Any questions? Please just ask. Large / Pit to pit 24" / Back of neck to bottom 30" / Model height is 5ft 8". All our items are measured laying flat.